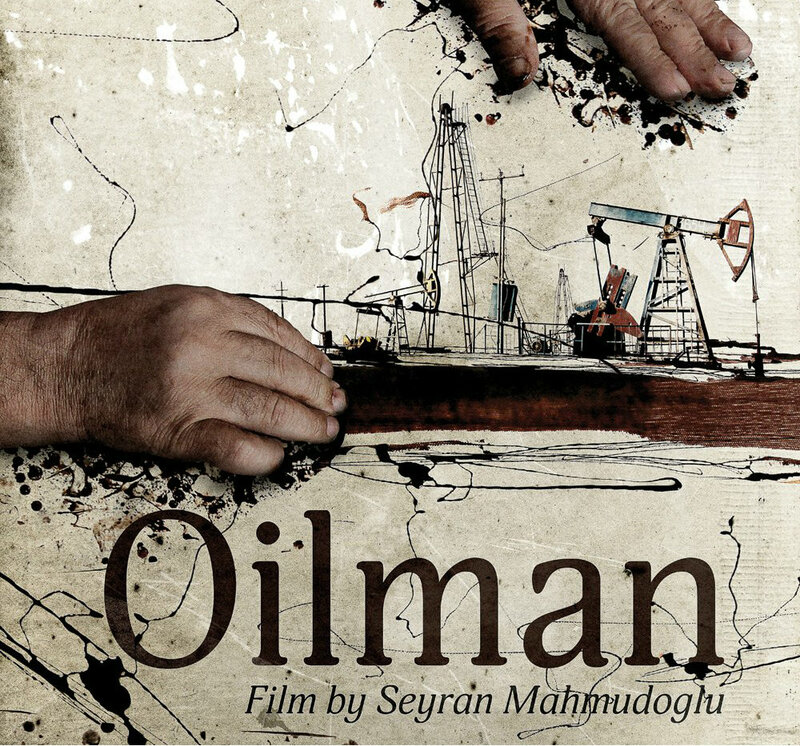 An Azerbaijani short documentary "Oilman" has been screened in Italy as part of the international Lucania Film festival held on August 10-13. "Oilman" represents an unexpected vision on Azerbaijani oil, featuring an artist painting with oil. ...While playing alone in the yard at his home little Sabir finds a small jar of the strange liquid, which was brought from the Azerbaijani spa of Naftalan by his parents. Not knowing what to do with it, Sabir spreads it over the wall of his house, like a painter. The film's protagonist -- Azerbaijani artist Sabir Chopuroglu -- is now in his fifties. In his works he uses real oil, not oil paints. The studio where he works is littered with paintings all with the same fragrance - oil. Sabir paints with his fingers, not a brush. A wide table, a jar of thick oil, coated paper and a little of fantasy - all he needs for the next painting. Having mastered the technique of painting in a flammable liquid, he began adding a lacquer - to make the paintings dry faster. Over the years he has become more adept in this technique. His discovery of painting with oil occurred in Ramana in 1989, while he was seeking nodding pumpjacks for his sketches of oily Baku. A puddle of oil caught his eye for the beauty of the landscape in reflection. He had an urge to scoop the stuff up with his hands, to feel the oil and to understand the value of the 'black gold' that rules a whole world. Sabir's first oil-painting captured horses. This picture still adorns his collection of hundreds of works. Since he devoted himself to the oil-painting fifteen years ago, he has drawn about 1,000 paintings. Director of the film is Seyran Mahmudoglu, scriptwriter - Esmira Ayyub, producers - Seyran Mahmudoglu and Esmira Ayyub and operator is Ali Sultanov. Earlier, "Oilman" was presented at the International Documentary Film Festival on Human Rights Docudays in Ukraine and at the Dokubazaar festival in Ljubljana. The film will describe mutual relations in the Nobels-Rothschilds-Rockefellers triangle of the great powers and the global role played by the Baku oil. All this will be shown in the context of the Nobel oil empire's prosperity and fall, the communist revolution in Russia and political compromises of the early 1920s. The film presumably will be called 'The Big Game' or 'The Oil Wars' and will underline that the Baku oil has always been in the focus of international attention, being "an award" which superpowers were endeavoring to gain. Notable that Azerbaijani films were presented at the festival in Brazil, as well as two films are bidding for the key world film award, the Oscar.